Creating pattern fabrics by looping yarn using a hooked needle is the craft of crocheting. 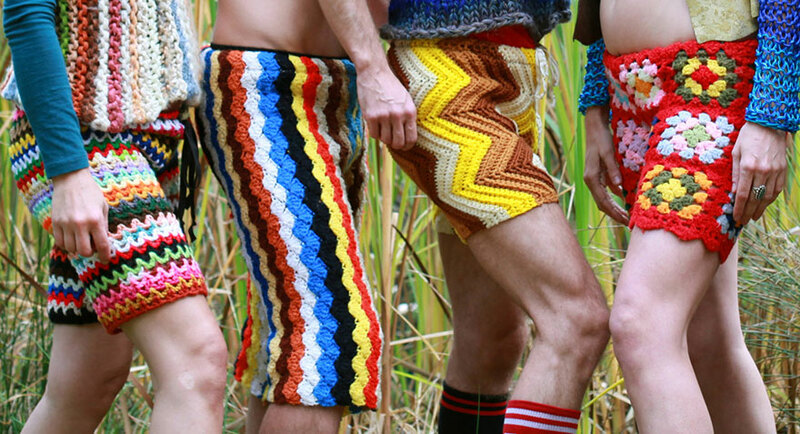 Schuyler Ellers started a new trend with crocheting by creating men’s shorts. He sells them on Etsy. 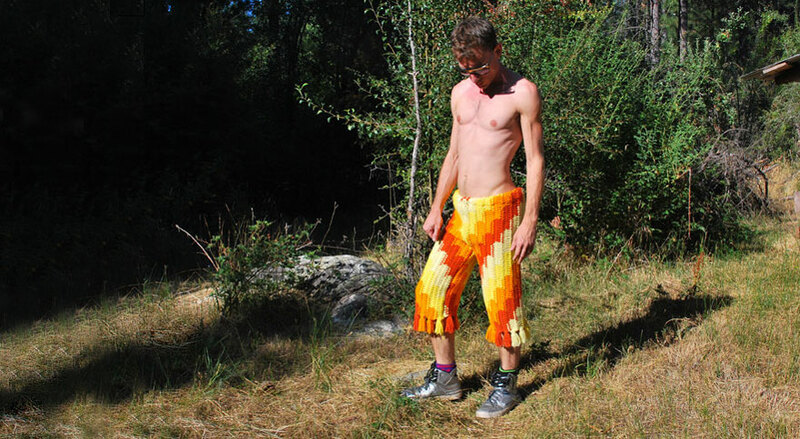 There either the coolest, most colorful creations you’ve ever seen in men’s shorts, or they make you totally cringe as you never could imagine mowing the lawn or showing up at a BBQ one of your bro’s is throwing while wearing a pair of these. 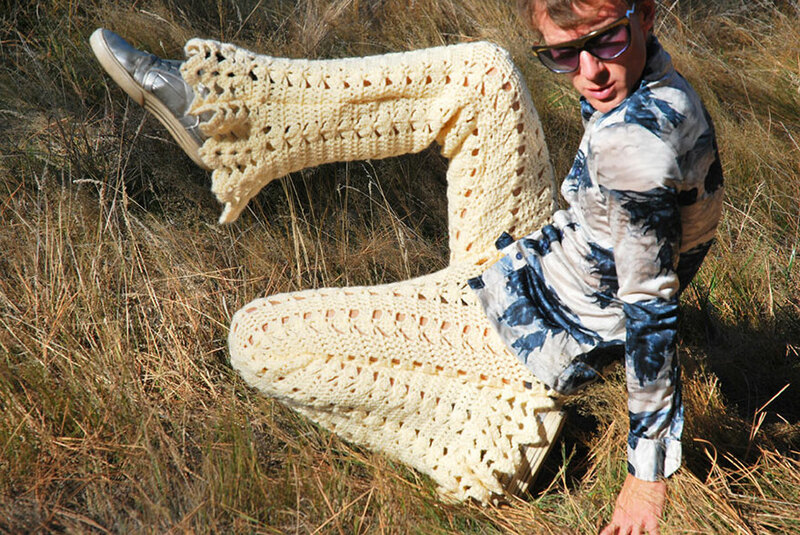 Apparently, he started knitting in Barcelona, Spain, and quickly had the desire to do something different. 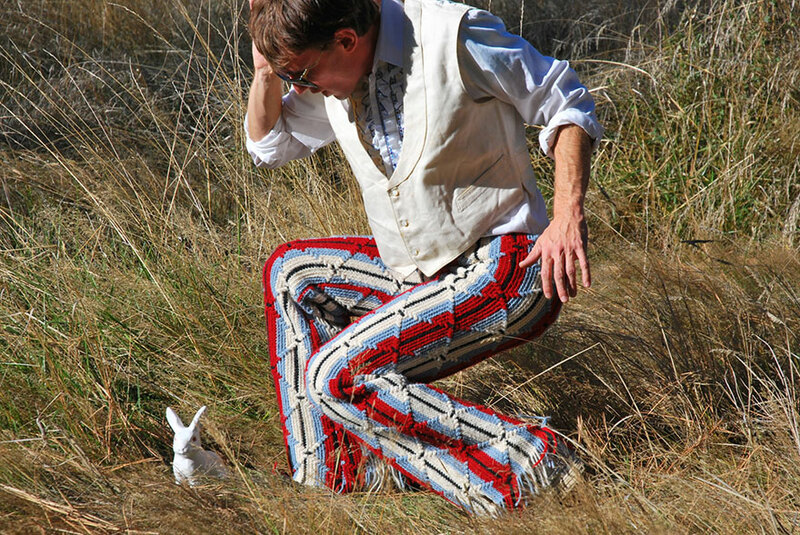 He does capris and full lengthpant as well. And his orders come from all over. 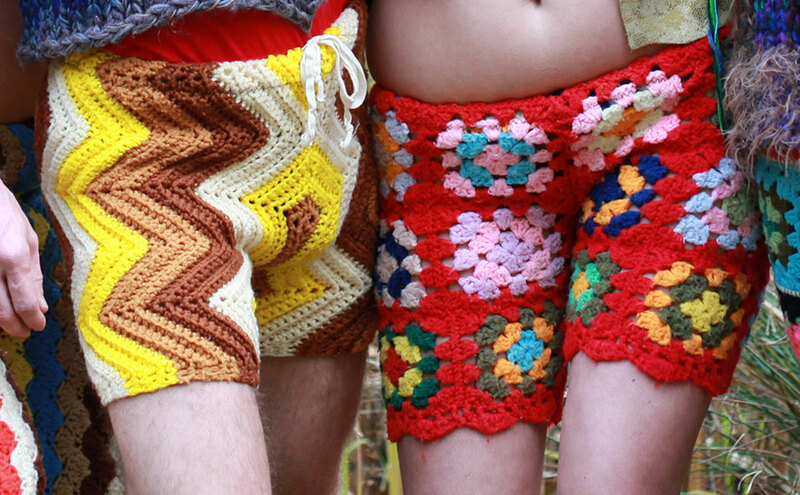 “I have never crocheted shorts myself, nor have I ever made an afghan. I prefer to recycle an existing crochet than to start from scratch. That way the garments are affordable and eco-friendly. If you dare to wear one of these the next time your lawn needs a mow or your buddies want you over for a beer and a baseball game, then more power to you. Go grab a pair over at Etsy!